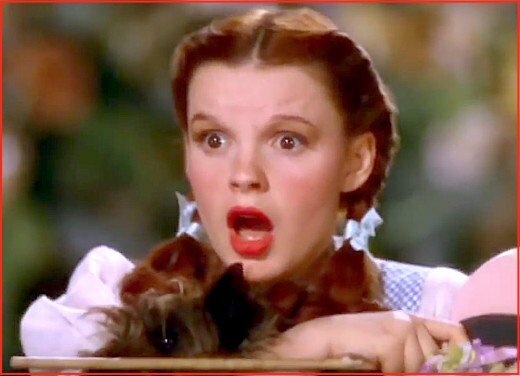 In The Wizard of Oz movie, Judy Garland utters one of the most iconic phrases in cinematic history: "Toto, I've a feeling we're not in Kansas anymore." 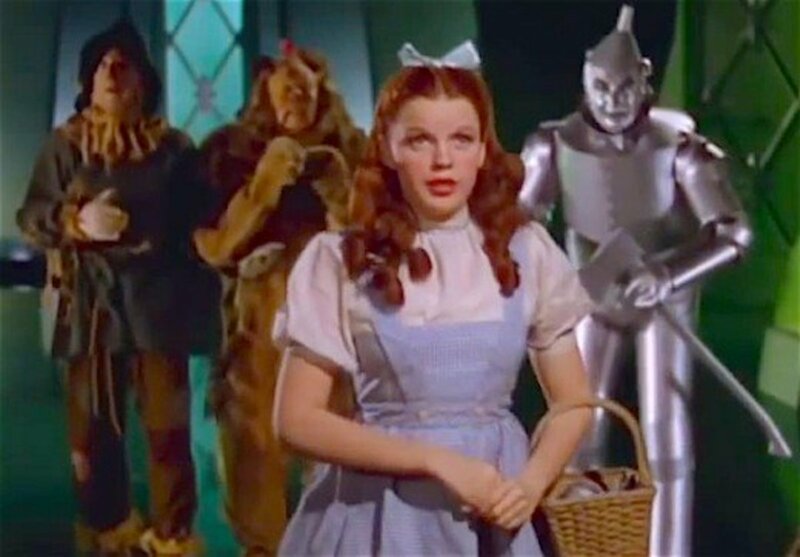 There isn't a single list of "Best Hollywood Movies" that doesn't include The Wizard of Oz. 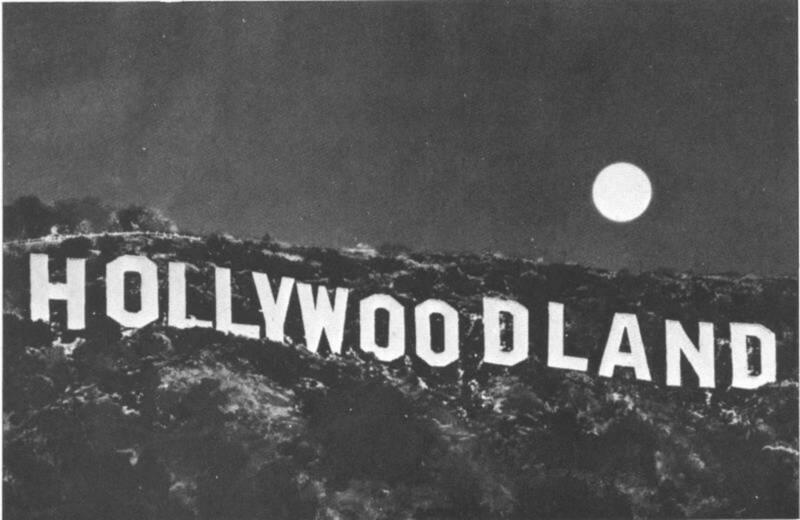 It was filmed in 1939 at MGM Studios in Culver City, just south of Hollywood on several different sound stages at a cost of $2.8 million dollars, and it would be 10 years before MGM turned a profit. Principal filming began on October 3, 1938, and wrapped nearly six months later on March 16,1939. Some additional re-shoots were scattered over the next three months, but by early June the precious film was pretty much "in the can." After the initial post-production editing, the movie, at almost two hours long, underwent some significant editing with many scenes removed. Judy Garland's song "Somewhere Over The Rainbow" was almost removed, but spared at the last moment and thankfully so. In 2004, the American Film Institute ranked it as the Number #1 Greatest Song in American Film. Although there were a few pre-screenings held, The Wizard of Oz movie officially premiered in Hollywood on August 15, 1939 at Grauman's Chinese Theatre. Today, thanks to its many televised re-runs on network TV, The Wizard of Oz is the most watched film in Hollywood history. Until now. Here are some of their stories. Judy Garland as homesick Dorothy in The Wizard of Oz. To say Judy Garland had an unhappy childhood would be putting it mildly. She was born to a gay father who got run out of town more than once for hitting on young boys. Judy's birth name was Frances Gumm, and after her parents took her and two sisters to California, the three girls began singing as The Gumm Sisters. In the early 1930s she was signed by MGM and began churning out three, four and five movies a year, often with Mickey Rooney. To keep her alert and lively, the studio began giving her daily doses of amphetamines. By the time she landed the role of Dorothy in The Wizard of Oz movie, she was a teenage drug addict. Biographers will later discover than during her teenage years at MGM, and long before Harvey Weinstein showed up on the scene, some of the studio's top brass were propositioning her and occasionally acting in inappropriate ways. This including head honcho Louis B. Mayer who allegedly would occasionally place his hand on one of her breasts. Just like Clark Gable and Vivien Leigh who were filming Gone with the Wind on nearby MGM sound stages, Judy Garland and her co-stars had no idea their movie would one day become one of America's most beloved films. Garland went on to a string of unhappy and failed marriages. During her first marriage, Judy's mother forced her to have an abortion when she found out Judy was pregnant. Garland's second marriage was to bisexual filmmaker Vincente Minnelli who was the father of their daughter Liza. During the 30 years after she filmed The Wizard of Oz, Judy would have affairs with celebrities like Orson Welles, Tyrone Power, bandleader Artie Shaw and occasionally other women. Her penchant for booze and pills began to spiral out of control and she graduated to morphine and heroin, sometimes sneaking into the bathrooms at friends' homes looking for prescription drugs. As her addiction became more powerful, she began to lose her mental health, twice setting her home on fire, and ending up in mental health facilities more than once, often treated for depression which today medical experts describe as bipolar disease. Despite all the happiness, singing, and dancing Judy did in her many movies, her sad life was largely filled with sadness, exploitation, and scandal. If you'd like a very intimate glimpse into her life and career which provides many details I've chose not to share in this article, I suggest you read Judy Garland: The Secret Life of an American Legend by David Shipman. On June 22,1969, Judy Garland was found dead by her fifth husband, Mickey Deens, in their rented London home. She was only 47. After an autopsy, the English coroner stated her death was due to an accidental overdose of barbiturates. Her body was brought back to the United States and interred for nearly 50 years in a New York cemetery, but in 2017 her family members had her remains brought to Hollywood Forever Cemetery in Los Angeles. 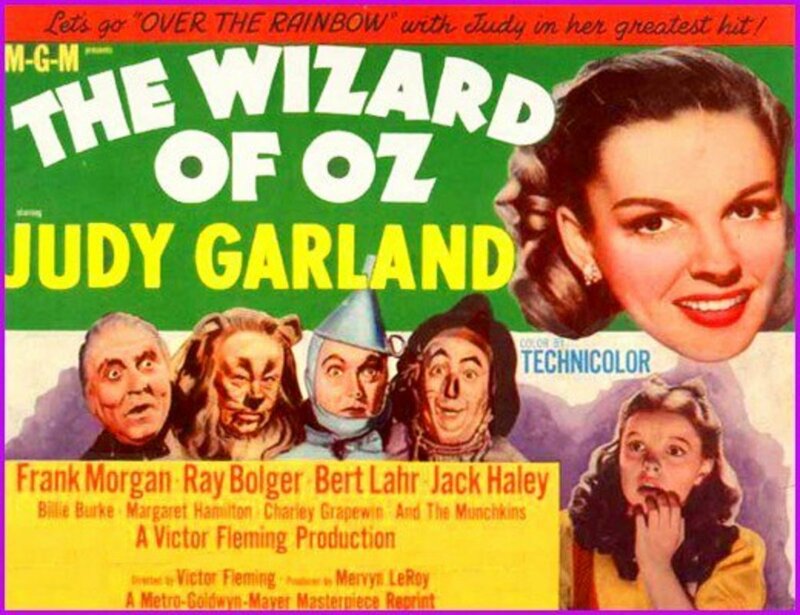 There are many, many Judy Garland movies, but for hundreds-of-millions of fans around the world, Judy Garland will always be Dorothy Gale, the little girl from Kansas who introduced us to the Land of Oz. Jerry Maren, seen in the middle, was the last surviving Munchkin until his death in May 2018. Maybe they should have called them the "little rascals," because a lot of these wee folk were indeed rascally. Many of the Munchkins had recently come to America from Europe and didn't speak English. But that didn't stop them from enjoying raucous parties and annoying 16-year-old star Judy Garland. One of her husbands once said some of the Munchkin men would put their hands up under her dress. Garland later said one of the 40-year-old midgets asked her out to dinner, once telling interviewer Jack Paar "...they were little drunks... they got smashed every night." Some of their late-night parties were at the Culver Hotel near the MGM Studios where they were housed during filming were so rambunctious, police showed up and arrested some of the Munchkins for being drunk and disorderly, and resisting arrest. Actor David Niven, who was staying at the same hotel, once said he'd watched as police showed up and tried to arrest nine of the little people, but their wrists were too small for normal handcuffs, so nine burly police officers scooped them up in large pillowcases and carried them out of the building. Recently, the last of the original 124 Munchkins who appeared in The Wizard of Oz passed away. 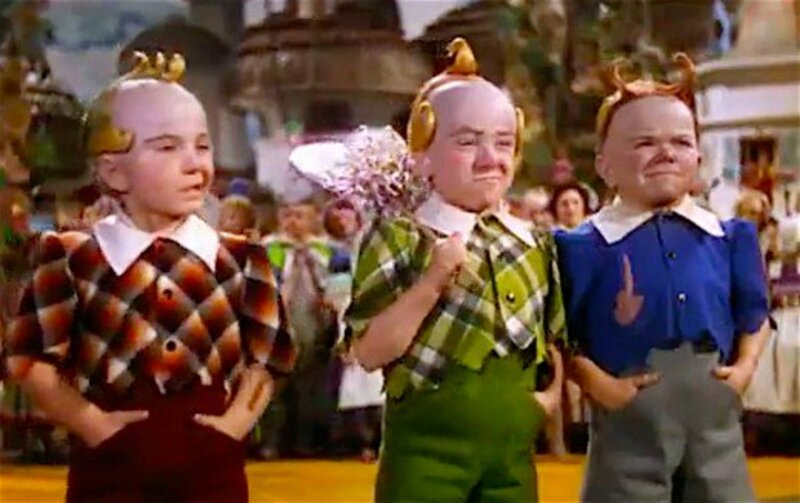 Jerry Maren, born in 1920, was one of the three Munchkins members of the Lollipop Guild. After appearing in The Wizard of Oz, the 4' 3" actor found sporadic work in movies and television, and spent some time doing appearances as Oscar Mayer. 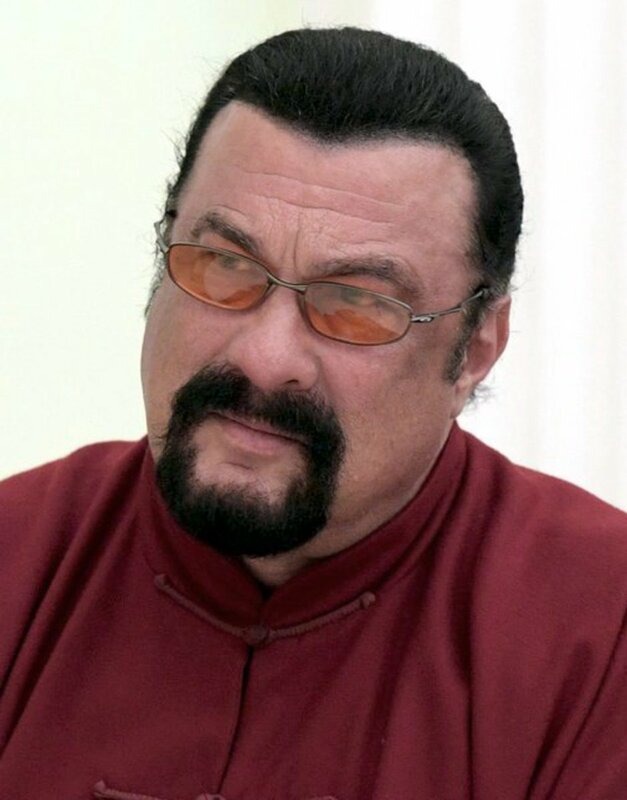 He also appeared in some McDonald's TV commercials playing The Hamburglar and Mayor McCheese. Maren died on May 24 in a San Diego, California nursing home at the age of 99, the last of the wonderful cast of The Wizard of Oz. There are a few movies like Casablanca or Gone With The Wind that I recommend all movie lovers should own. As I was researching this article, I found the special features on my The Wizard of Oz DVD not only enjoyable, but informative as well. Besides the cast interviews, I loved learning the little historical facts regarding the making of the movie. If you're a film lover, I strongly suggest you consider adding The Wizard of Oz to your movie library. Judy Garland once said she was groped many times during the filming of The Wizard of Oz, but it wasn't good witch Billie Burke who was doing the grabbing. In The Wizard of Oz, actress Billie Burke played the iconic role of Glinda the Good Witch who helped Dorothy find her way to Emerald City. Billie had been born Mary Burke, the daughter of Blanche and Billy Burke, and her father was a clown and a singer with the Barnum & Bailey Circus. She used her nickname "Billie" professionally as a tribute to her father. Before filming The Wizard of Oz movie, Burke had had a productive career on Broadway, thanks in no small part to the fact she was married to famed Broadway producer Florenz Ziegfeld, Jr -- the creator of the popular Ziegfeld Follies which launched the careers of a lot of Hollywood starlets. After Ziegfeld died in 1932, Burke never remarried and became active in Hollywood's underground lesbian circuit. She was a "swinging" member of "The Sewing Circle," a group of actresses and entertainers who were either bi-sexual or lesbian and who often met at the residence of actress Dolores Del Rio. Some of its members allegedly were Joan Crawford, Hattie McDaniel, Myrna Loy, Greta Garbo, Marlene Dietrich, and others. Burke is reported to have had a serious affair with actress Katharine Hepburn, and also with Hollywood's only female director in the 1930s, Dorothy Arzner, a self-proclaimed "dyke." 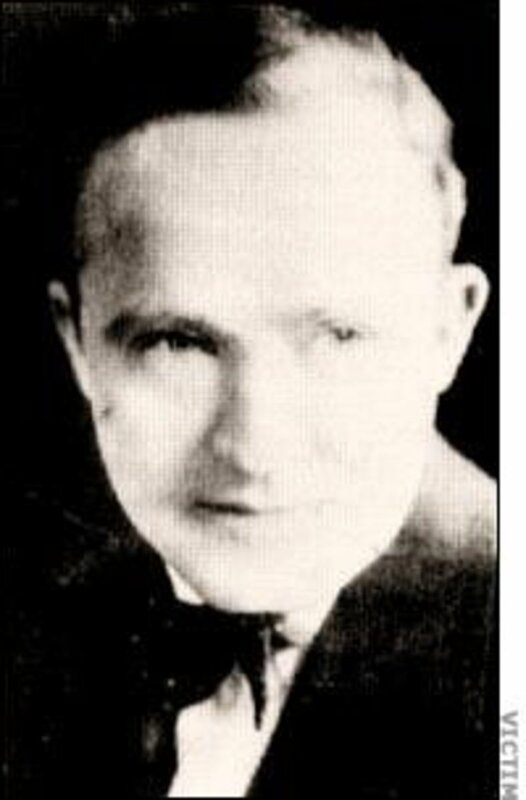 Burke is reported to have been living with Arzner in the early 1930s. Although she understandably wanted to keep their relationship quiet, Burke would sometimes accompany Arzner to movie premieres, avoiding reporters and cameras when possible. 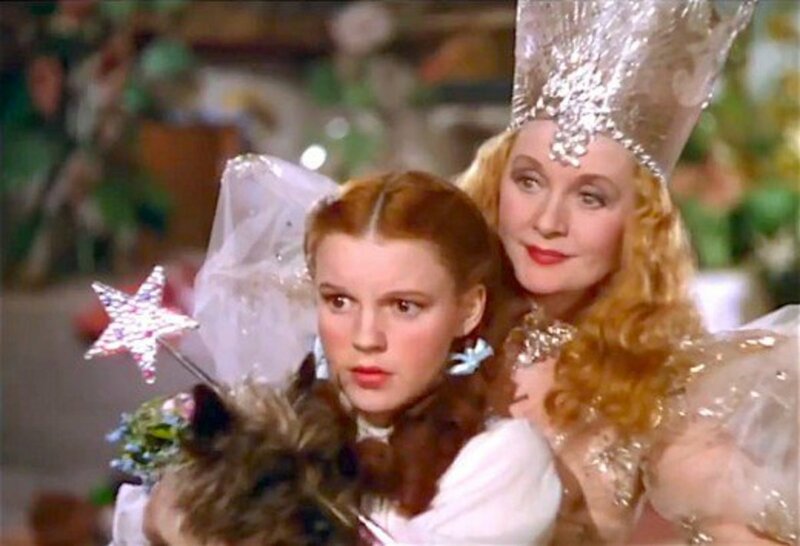 None-the-less, Glinda the Good Witch will always be Billie Burke's most beloved role. How well do you know Billie Burke? Frank Morgan not only played the eccentric wizard in The Wizard of Oz, but four other roles as well! 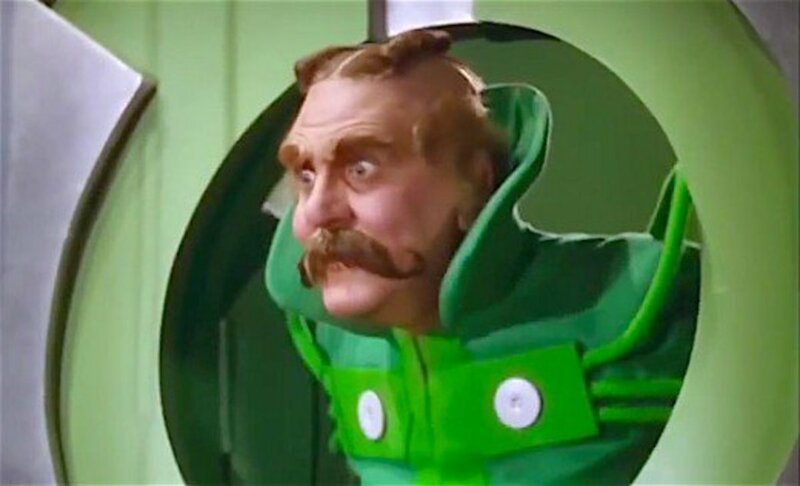 Frank Morgan was one of The Wizard of Oz cast members who nearly stole the show. 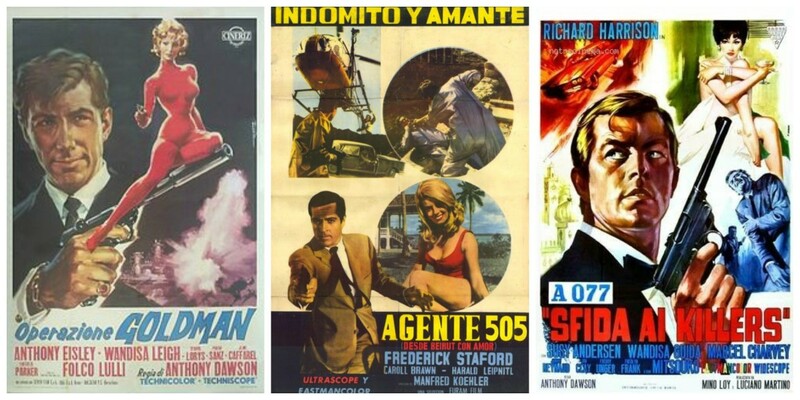 And he wasn't the first choice of producers to play the title role. Turns out it was W. C. Fields who was initially slated for the part, but after making salary demands the producers thought were exorbitant, the part was given to Frank Morgan. In fact, Morgan not only got the plum role of playing the eccentric wizard who lived in Emerald City, he also got to play Professor Marvel, a doorman, a guard, and a cabby. And he was great in all five parts! 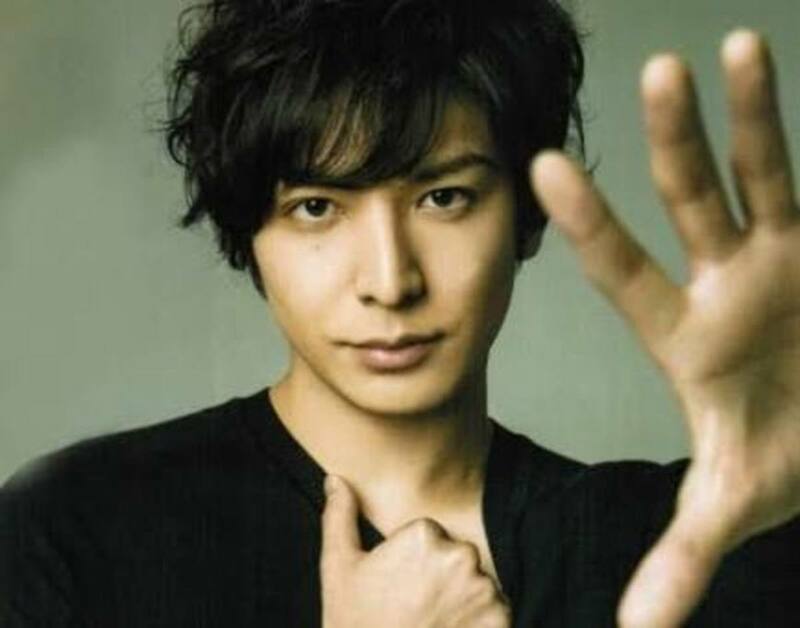 His fellows actors loved him. Ray Bolder said Frank Morgan was "a divine man," and Margaret Hamilton described him as "...lovable, very sweet, very considerate," and one of the finest people she knew. But Morgan had a secret: he was a heavy drinker. Sometimes to excess. He'd tried quitting several times, but would become short-tempered and agitated, and that's when the sweetness would disappear. So he continued to drink, never allowing it interfere with or disrupt his work. Any on-set drinking was done in his dressing room where he was always careful not to go over the limit before shooting a scene. And when he showed up to work each day, that little black briefcase he often carried with him wasn't full of scripts or acting notes. Thus, it would seem even the Great Oz enjoyed a little "nip" now and then! 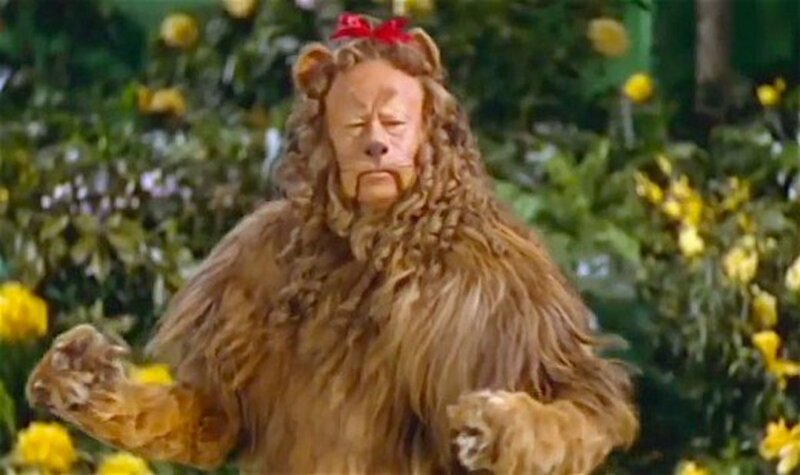 Bert Lahr -- in 2014 Lahr's Coward Lion costume sold at auction for $3 million. That's more than the entire production cost of the 1939 movie. The Cowardly Lion was in love with two women. Actor Bert Lahr had a long and successful career in show biz, and millions of fans worldwide now remember him as the Cowardly Lion in The Wizard of Oz. Every day for several months, Lahr suited up in his 90-pound lion costume which was sewn together with real lion fur. Under the hot lights inside the studio the suit could become extremely uncomfortable and Lahr had to be mindful not to pass out from dehydration and heat. Lahr had married an attractive woman named Mercedes Delpino in 1919 and was relatively happy. But she began to develop mental health problems and was committed to a sanitarium in 1930. Lahr had hoped she'd recover, yet as time passed her condition only deteriorated and he began seeing a woman named Mildred Schroeder with whom he had fallen in love. He had promised to marry Mildred after a planned divorce from his first wife, but legal problems delayed the divorce and Mildred left Lahr and married another man in 1936. Lahr grieved over the loss of his girlfriend whose marriage lasted less than a year. Given a second chance, this time Lahr did not wait and divorced Mercedes in 1939 to marry Mildred a year later. Mercedes never remarried and passed away in 1965. Bert and Mildred were happily married until his death in 1967. Clara Blandick, Margaret Hamilton, and Charles Grapewin. Hamilton scared millions of children when she later showed up as the green-faced wicked witch. Not many people recognize the name Clara Blandick, yet she was one of the most important members of The Wizard of Oz cast. 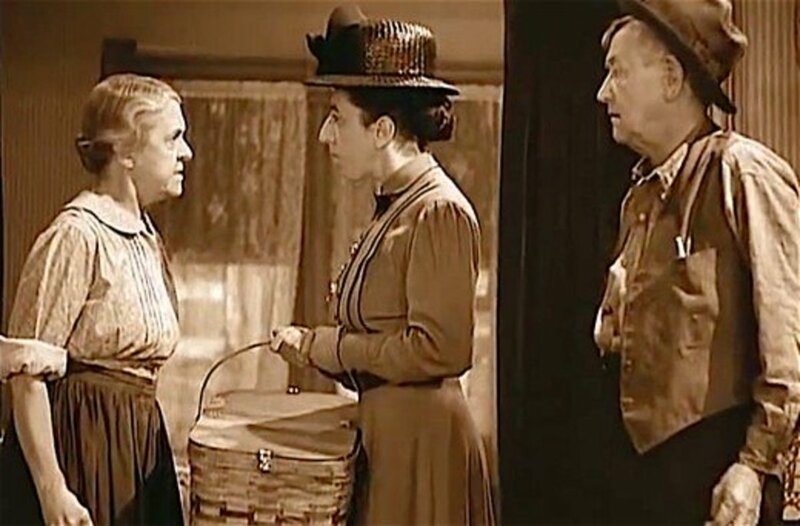 She played Auntie Em, and she and her movie "husband," Charley Grapewin who played Uncle Henry are the only two main characters we see in the opening black and white scenes who do not appear in an alter-ego in the colorized portion of the film which takes place in the Land of Oz. Blandick was born in 1876 and was in her early 60s when she played the stern-but-loving aunt to Dorothy Gale. The actress had been born aboard a ship anchored in Victoria Harbour in Hong Kong that was captained by her father, Isaac Dickey. Clara enjoyed a long and fruitful cinematic career over the years, starting in silents, and then playing in some great movies. Movie fans might remember her as Aunt Polly in 1930's Tom Sawyer, and a year later in Huckleberry Finn. 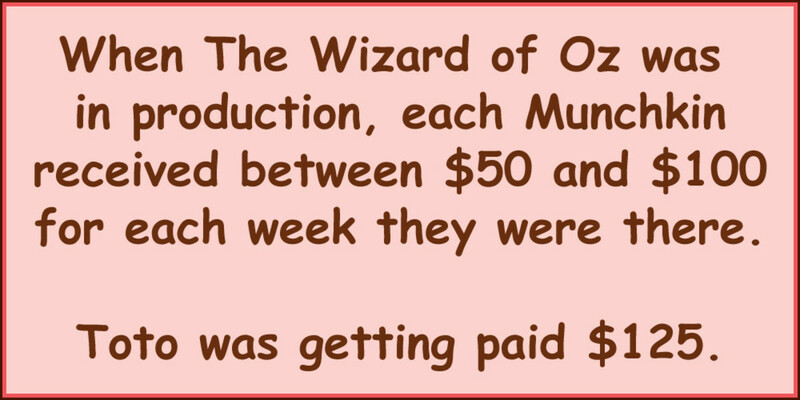 Blandick's filming on The Wizard of Oz only took a week for which she was paid $750. 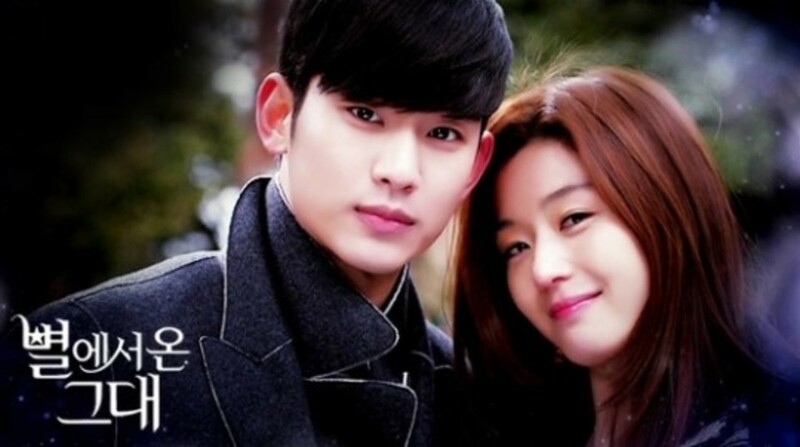 She was a busy actress and enjoyed a very successful movie career typically playing character and supporting parts. However, in real life she wasn't so lucky, especially in love. She married a mining engineer named Harry Stanton Elliott in 1905, but they divorced seven years later and she never remarried. Blandick's health and eyesight began to deteriorate in the 1950s. On April 15, 1962, with her arthritis causing constant pain, and nearly blind, Blandick went to church on a Sunday, then came home. She put on a stylish dressing gown, took an overdose of sleeping pills, and laid down on her couch where her body was found later that day. She was cremated, and ironically her ashes were interred at Forest Lawn Memorial Park in Glendale, California just a few yards from those of her Wizard of Oz husband Charley Grapewin. Dorothy Garland, Victor Fleming, and Toto. The llittle dog had millions of worldwide fans after accompanying Dorothy on her journey to the Emerald Kingdom in The Wizard of Oz. Victor Fleming -- Where Were His World War II Loyalties? Victor Fleming was one of Hollywood's most respected directors, and has the distinction of being a director on the Gone With The Wind movie set. He was also called upon to step in and help MGM finish The Wizard of Oz. He won the Academy Award for Best Director for his work on Gone With The Wind. 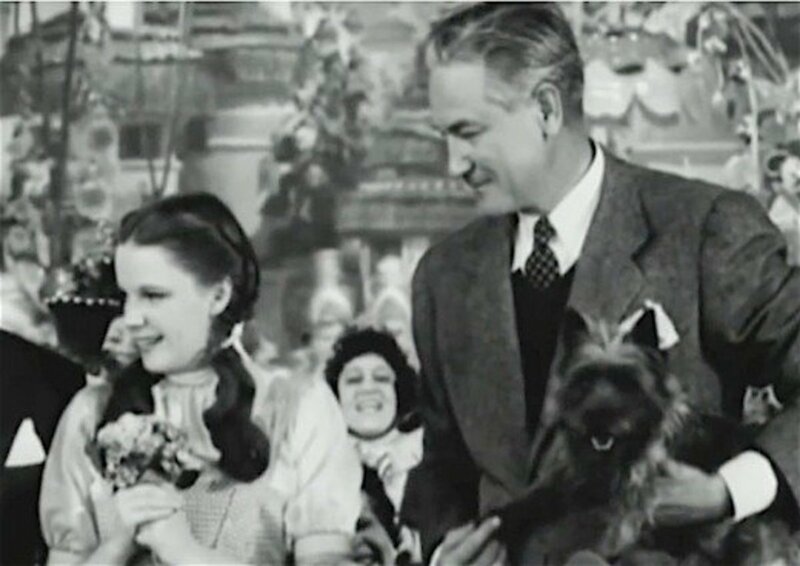 Fleming could be a demanding director, and in one famous incident on the set of The Wizard of Oz, he stopped filming a scene between Judy Garland and Bert Lahr. Garland couldn't stop giggling at Lahr's playful acting, and valuable time and expensive film was being lost with each re-shoot. 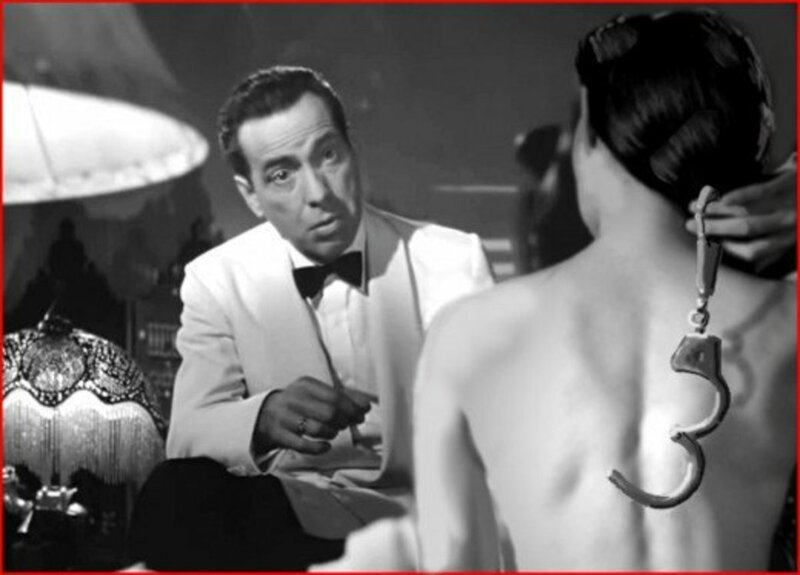 So Fleming called her aside, gave her a mild slap across the face, and told her to get her act together. Stunned, but realizing the problem she'd created, Garland dutifully shot the scene to Fleming's liking in a single take and the matter was quickly dropped. However, it wasn't until after his death in 1949 that one of the actresses who'd worked with Fleming said the acclaimed director had been "pro-Nazi" during World War II, and had a loathing for the British. He allegedly made a bet that Britain would be unable to repel a German invasion, mocking their ability to defend themselves. If this is true, then one can understand why Fleming chose to keep his patriotic loyalties to himself--after all, the majority of Hollywood's most powerful studio heads were Jewish, and anyone thought to be a sympathizer of Hitler's Germany would surely have found themselves blacklisted and out-of-work. Besides Gone With The Wind and The Wizard of Oz, some other Victor Fleming movies for which he received critical acclaim include Treasure Island, Captain's Courageous, Dr. Jekyll and Mr. Hyde, Tortilla Flat, and many others. Thank you again Patty! I enjoy learning and writing about Hollywood's Golden Age actors and actresses! Glad you enjoyed this! Another enjoyable and educational read Tim Anderson, thanks. And you know I always love the quizzes.